Drillthrough data in Jedox OLAP cubes can be displayed in a Jedox view. Right-click on a corresponding data cell and select Drill Through from the pop-up menu. The data will be loaded into a new table, which you can customize to show the information that you want to see. The view controller has several ways to filter and sort the detailed data. 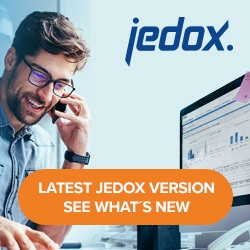 In Jedox Web Spreadsheets, you can export the data as a CSV file.